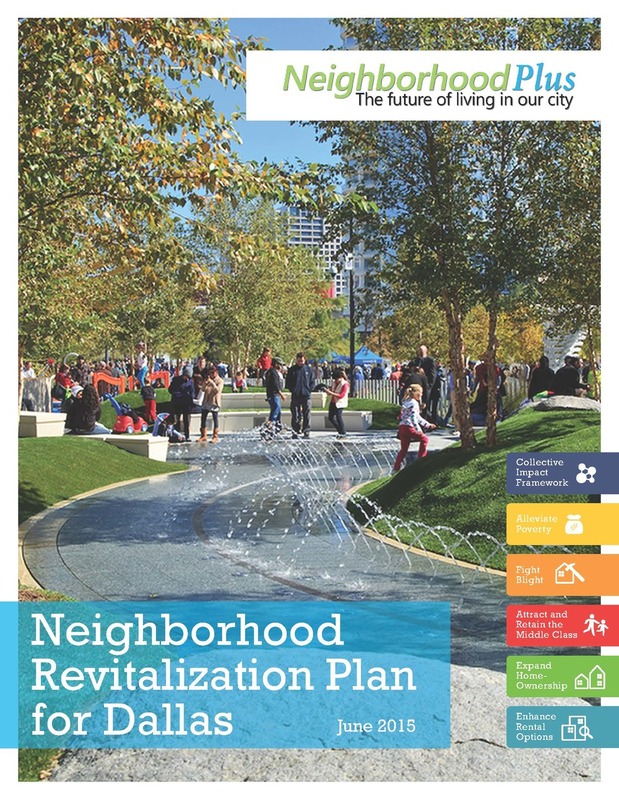 The City of Dallas has taken a unique approach to substantially improve quality of life for the city's residents with the Neighborhood Plus Neighborhood Revitalization Plan. Fregonese Associates and the City worked with community members and dozens of partner organizations to identify opportinies to change the trajectory of the city's struggling neighborhoods with strategies that address poverty, fight blight, attract the middle class back to the city, and expand homeownership and quality rental options. The Neighborhood Plus plan was approved unanimously on October 7, 2015, and implementation has already begun in several target neighborhoods, and will soon be expanded across the City. Along with the City, dozens of partners are working in collaboration to ensure safe, healthy and sustainable neighborhoods for all Dallas residents. 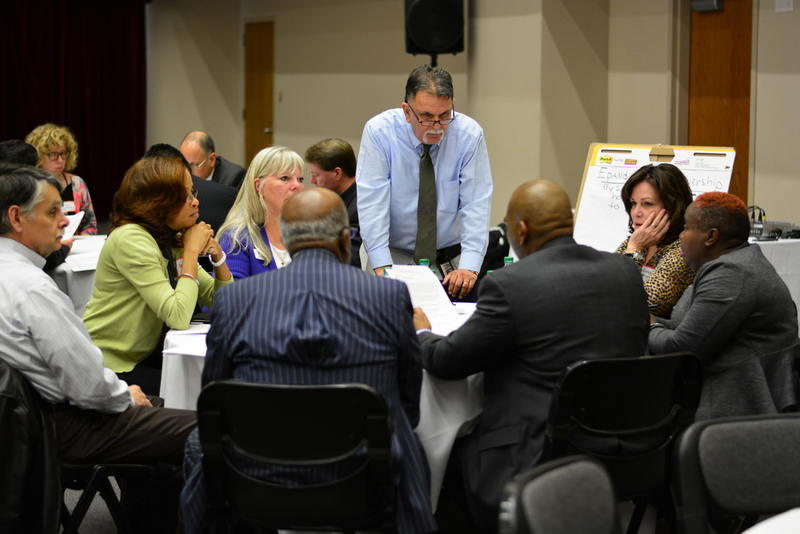 "What’s the best way to help struggling neighborhoods economically? Higher wages? Job training? Better health care? Improved transportation? More prekindergarten programs? Dallas City Council members were split on their answers Wednesday, but most agreed that the city’s efforts should start with better wages. They also said the city should encourage “infill” development and crack down on shoddy rental properties." John Fregonese and his team will travel to the suburbs of Greater London later this month for their first project in the United Kingdom. The Epping Forest District Council has retained Fregonese Associates to perform a capacity analysis and identify strategic infill sites in and around existing town centers. As part of their new role in international planning, Fregonese staff have calibrated their GIS-based scenario planning tool, Envision Tomorrow, for use in the UK, Canada, and entire European Union. The Fregonese team will spend a week presenting the draft findings of their capacity analysis and doing field work to identify a handful of strategic infill sites for further study. The results of the study will provide detailed financial analysis and engaging visuals for use in council decisions and to help drum up developer interest. Fregonese Associates has obtained an exemption from the FAA to operate an Unmanned Aerial System (UAS). This means that we can now fly our DJI Phantom quad-copter for the purpose of taking aerial images and video. Using aerial images allows for us to see sites and communities from a whole new perspective. Imagine what a new district would look like at build out. See how new connectivity would help integrate an area with the community. Visualize how new development can fit in with existing neighborhoods. We are excited to have this new tool at our disposal, and can't wait to have more opportunities to use it for planning. We are happy to announce that we've added two new faces to the Fregonese Associates team, Irene Kim and Jacob Nigro! Irene is a recent graduate of Portland State University's Master of Urban and Regional Planning (MURP) program. Here broad skillset and background in graphic design and architecture will be a welcome addition and we look forward to including her in a variety of projects projects in the coming year. Jacob joins us all the way from Toronto and is a recent graduate of the University of Toronto's Urban Planning program. Jacob's technical skills and GIS experience are already proving invaluable and we are happy to report that his transition from the metric system is going well! Our whole staff is excited to add these two talented young planners to our team of 15 planners, designers, and support staff. Welcome Irene and Jacob! Fregonese Associates recently completed a collaboration with the Oregon Department of Transportation (ODOT) and the Department of Land Conservation and Development (DLCD) to author the Oregon Scenario Planning Guidelines and a Technical Appendix. The documents capture our extensive work experience conducting successful scenario planning projects around the country. These documents provide step-by-step assistance needed for Oregon Metropolitan Planning Organizations (MPOs) to initiate and complete their own local scenario planning process. Although, tailored for Oregon MPOs involved in planning for State greenhouse gas emission reduction requirements, the Oregon Scenario Planning Guidelines provide a tremendous resource for anyone or organization curious about or hoping to engage in scenario planning.